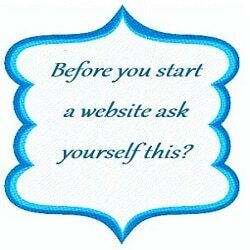 Before you start a website ask yourself this? There can be many questions but I have brought it down to two main ones. What is my purpose for creating a website? These two questions are very important and can determine your future online. If you already have a website created and you are not succeeding then you may also need to ask yourself the same question. However, for the majority, this is mainly for those planning or thinking of creating a website online for various reasons. It does not matter if you have technical knowledge, a little of knowledge or none at all. Problems and possible failure will follow you unless you have thought it out first with what you what in a website for your business. As you can see planning before any project is paramount regardless of the type of business, you have or want to have. No business should cut corners if they really want to be successful long-term. So why should you in creating your own business website. OK, so now we have some questions in place, let us look at what they mean. Remember this is about you and is the driving factor to your success in life should you take action based on what you have written. One that can also help answer and even clarify deeper on the second question mentioned below this. Here are some basic and most popular reasons. For many people, the age-old answer might be I want to make money online. As mentioned earlier, planning is essential to your success and one of the most important aspects is setting goals on what you what to achieve. This needs some serious thought and is best to write your goals down physically using pen and paper this creates a more powerful impression in the mind than just talking about it or even typing them on the computer. Of course, we all want to make extra money but that is only one part of the end- result from your actions. If you want to earn money online, you would need to start first knowing your purpose and then creating some goals. Even though money may be the main reason for creating an online business, it should not become the sole focus. Yes, it is important but by no means the main goal in life. Just saying that I want to be successful and make money is not the ideal goal to set. You could earn $1, which means you were successful and made money as that was the intention you set at the start. Simply you got what you asked for nothing more nothing less. So set some intentions to your goals but also include a time span. Just like a business might set up a budget for the month, at six months even yearly ones. Here are some tangible money goals you can set. Question #1: How much money would you be happy to earn? Are you happy with $1000 a month? They are realistic goals if you apply yourself. Question #2: How much would you be thrilled earning? Perhaps twice the amount or more compared to your first answer. These are two simple yet powerful money goals to set but you must be honest with yourself and realistic but never underestimate your talents either. You can still aim high; just know not to expect this to happen overnight or within a month or two. If you fall short of your target goal, no problem, just be proud of what you have achieved so far and it will give you more of an incentive and determination to not only reach your goals but even surpass them as well. Which brings me to a third and important question? If you are expecting that quick fix or overnight success, you will be very disappointed and most likely if you continue with that mindset of instant fixes it will lead you to failure or loss of money in your pocket falling to some of those frauds found online. Just like a brick and mortar business, it takes time to build, it won’t happen overnight but will happen if you want to be successful and take action. Before answering this question, look back at your response to your purpose and your goals. However, this time look deeply into your answers, you may need to make some adjustments as well. Just be truthful and honest with yourself. Now that you have done that, ask yourself with the answer you have given how much time am I going to make to get what I am seeking? Perhaps you are working full-time and may only give a few hours a day if so make sure you devote that time without interruption. If you are working part-time perhaps, you can add a few more hours. For those with home-duties especially when you have kids it can get quite tiring to find that time to relax and allocate time for this. Perhaps while the kids are at school or if they are, still at home when they are asleep you could set aside that time. So asking yourself the questions on your purpose and goals should be the primary focus before you start a website. Please write down your purpose in wanting to create a website along with what are your goals. Then when you have done that ask the three questions on your goals. If you see that you cannot find time then either your questions or you are not serious and important enough and may need re-visiting and adjusting. You may very well be happy working for someone else and live by your bosses rules if so good luck. Perhaps you doubt your abilities and are afraid to succeed and work for what you desire in life. Only you know the answers if they apply to you. Only you know if you are prepared for success or failure. Just know that The Journey begins with YOU! Should you feel that you want to give it a go then I have a solution for you with two options? Here when you join you get two SiteRubix websites to try them out and learn with along with two separate courses containing 10 lessons each. The two websites are yours to use and even if you don’t want to take the next option you can still learn and build a foundation that can earn you money depending on how much effort you want to make it work. You will learn all about how to build your website, how to choose a niche and many more as you can see by the image below. As you can see both 20 lessons from these two courses can give you heaps of training to get you started online and even earning revenue depending on your efforts. There is plenty of information the co-founders are willing to give you. As I said this is a free starter membership for 7 days and if you find success is not for you, then you simply log out and that’s it. No cost to you, no credit card details required only a gained knowledge and insight of creating your own website. Should you find you are serious in wanting to reach and achieving those goals and the purpose you set earlier, then option 2 is for you. Oh, when you take option 2 there are none of these upsells upon upsells some other places will charge you after you join. As I said earlier if this is not for you, then just log out no more. • After your 7 day trial (or earlier if you wish) as a starter member if you find this is for you then you can upgrade to premium membership and as a bonus when you join I will ensure you get the first month for only $19 then each month after is $49 per month that is should you want to go monthly. By going monthly works out to $558 per year, however, should you take the last option gives you a massive saving. • The last option is to go yearly for $359 as a yearly member. This is another way to make yourself a commitment that you are serious and seeking success and reaching those goals and plan you set in writing. Do the maths, the monthly cost for the year add up to $558, which comprises of the $19 first month I will give you and the remainder 11 months at $49 each total $558. Going yearly costs $359 per year. Therefore, the difference with the yearly cost compared to monthly over a year is a saving of $199. Would the $199 saving be better in your pocket instead? Premium members get a lot more than just 20 lessons along with free hosting site security and much more. So now, you know the two vital questions and steps needed to ask before you start a website. Should you wish to give these options a go then just Click Here To Your Future Success Online? Further reading of benefit for you. Have you thought about your goals and purpose in creating your website I would love to hear your goals and purpose? Copyright Learn Earn Grow Online Affiliate Marketing – 2016 -2018 . All rights reserved. Thank you very much for yr “successfulaffiliateru” website. I like it as it is clean and neat. we should be able to dominate that niche market. keywords, these keywords are much easier to rank your websites highly on Google!! Thank you, Jewel, for the visit much appreciated. Yes selecting a niche is very important as this will be the basis for your domain name and how you approached your website. Definitely, Wealthy Affiliate shows you the right way to learn how to become successful with online or affiliate marketing. You are so right with the use of long tail keywords as this will help you when looking for higher ranking on search engines like Google, Bing/Yahoo. What I found that by using the Jaaxy research tool which you can find more details on one of my pages it that when using Jaaxy this will help you refine further on those long tail keyword and even give high accuracy on the traffic, the power of the words used and many other benefits. This will help you gain a greater edge over your competitors when using the long tail keywords you mention above. The Jaaxy research tool along with being part of the Wealthy Affiliate learning platform is all you need to start being successful with your website. Thank you once again for your visit and please so you require help or assistance just drop me a line and we will work it out. Thank you Doug for your comments and your visits hear I really appreciate this moment. I had a look at your website you are developing and you are doing well. Keep going forward and and I say Always strive to Succeed and you will Achieve. Thank you for your visit Joe much appreciated. Yes spacing out the sentences makes it easier to read it gives it a more relaxed feel. Wishing you well in all you do in life. I really like the way you have crafted this post. Using examples is such a good way for people to be able to see the identification process of a niche, and what is involved. Getting a passion off the ground and online is not always as straight forward as people like to think. You have provided some very useful information to help newbies make informed choices about niches, well done! Thanks for the visit appreciated also thank you for your comments as well. Yes I agree that showing examples really is a great way people are able to see that process when breaking down a niche and breaking it down further to find that selective niche one needs to go forward. There is work to be done so there are no quick fixes or quick money to be had. If you want to build up a successful online business you need to know how to build a solid and strong foundation for it to survive the storms that may come at you from time to time. Wealthy Affiliate has done that for me and for many others. Once again thank you Rob please free to visit again and your input is valued. I want to start an affiliate Marketing Website and I am still thinking about the kind of niche I should target. Would you rather recommend to have a domain name with a brand in it or rather some main keyword of your niche? Thank you for visiting my site much appreciated. That’s great you are thinking of starting your own affiliate marketing Website online. I wish you much success on that. 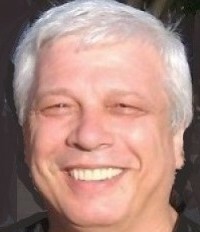 As for the niche that would be dependent on who your target audience will be. They would need to be a specific group just like you are targeting and focusing within the yourdiamondpro.com website you currently have. When using keywords it is best to use some form of long tail keyword this will help you rank higher than using a single word. As a Wealthy Affiliate member, I have an additional keyword research tool I use successfully this is called Jaaxy. But Jaaxy is more than a keyword research tool which not only helps you work out the best keywords to use, particularly with ranking and search terms but also the program can help you out with possible available domain names relating to your keywords to your selective niche. I have a written a post about using a Niche. It is called The Niche Definition http://successfulaffiliateru.com/the-niche-definition/ you can either click on the link or search for the page under July 2014 in the Archives on the right hand sidebar. Here I have created an example relating to the broad word Healthy Diet and how Jaaxy can help with using a long tail keyword within your niche not only as a keyword but you can brainstorm and create a niche related keyword as part of your domain name. Hope you have a great day thank you again for visiting my sight you are more than welcome to ask further question should you need. By the way you have done well with your current site relating to diamonds. Well done. love your post! It really is very important to figure out why you want to start a website and also if it is something that you are passionate about, because if not; you will lose interest in writing and creating more content. I really like working on my site and also working with Wealthy Affiliates, since there is such a lovely feeling of support and there is always someone around to pick you up when you need it. Love and light always my friend! Thank you for the visit it is a privilege to have a talented person as yourself come along and communicate here. I really appreciate that so thank you for that. Yes you are correct in saying that the passion needs to be there if you wish to make a success and this would apply in other aspects in life as well as here as a website owner. It is great fun to be able to communicate with others via our own website knowing that along the way someone is being helped. 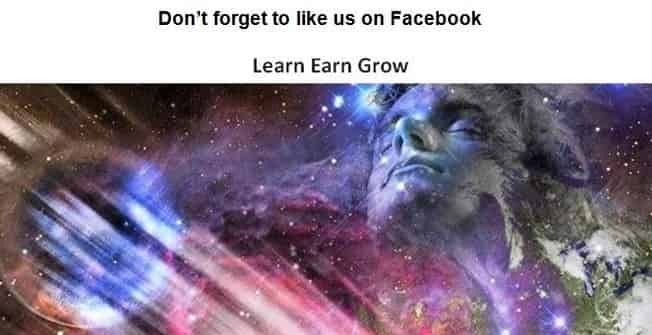 I noticed that you are doing that as well with your own website dealing with New Age Books helping others with your reviews as well as expanding with your Remote healing that is totally awesome to hear. I certainly wish you well of that you certainly deserve it.